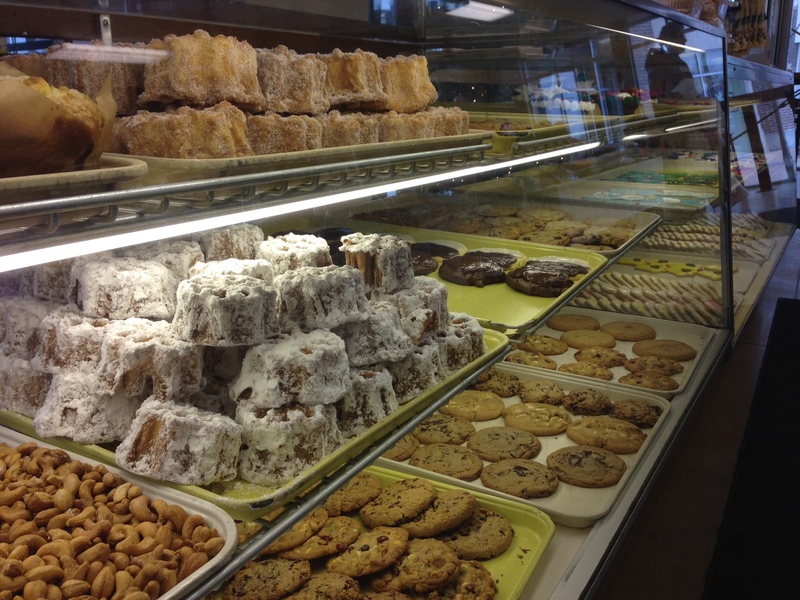 I have been a devoted lover of Scott’s Pastry Shoppe for a couple years now…I always have to get a cheese danish, and I usually get another donut or some donut holes. Over my years of visiting Scott’s I always had this little voice in the back of my head telling me I needed to compare it to Lane’s Bakery on Park Street, so when it reopened a couple years ago I knew I needed to go. My mom and I went on a Friday morning and the place was packed. The Villager Mall houses a lot of other things, but I’m pretty sure most of the cars in the parking lot were for Lane’s. There were two long cases filled with everything from cakes and kringles to donuts and cookies. My mom and I decided to split three things and then she got something to take home and two things for my dad. My mom and I split a sugar donut, a cheese danish (obviously) and a powdered sugar rossette. We got my dad a chocolate chip cookie and a peanut donut, and my mom took home an apple pie pastry. 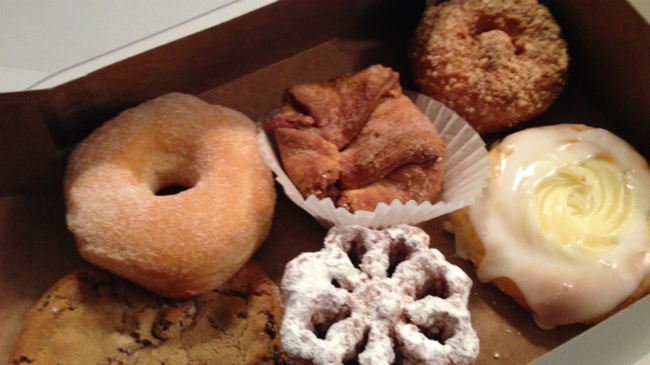 The sugar donut was probably the best of the bunch, which doesn’t bode well for my return. The donut was fresh, crispy on the outside and perfectly fluffy and sweet on the inside. The cheese danish was not great. There was too much pastry, not enough cheese filling, and there was way too much of the super sweet, hard frosting. Scott’s sugar donuts and cheese danishes are way better than Lane’s. The rossette was something new for me (and I think it was a seasonal specialty). It was a crispy, fried cake that broke into tiny pieces when I tried to break it apart and eat it. It didn’t have any real flavor other than fry oil and the texture of the batter was either burnt or super oily…I couldn’t tell. As for the stuff my mom took home, she said the apple pie pastry looked and smelled better than it actually tasted. She said the apples and cinnamon mixture tasted good, but it was overpowered by way too much of the dough. And the peanut donut and chocolate chip cookie didn’t get rave reviews from my dad. 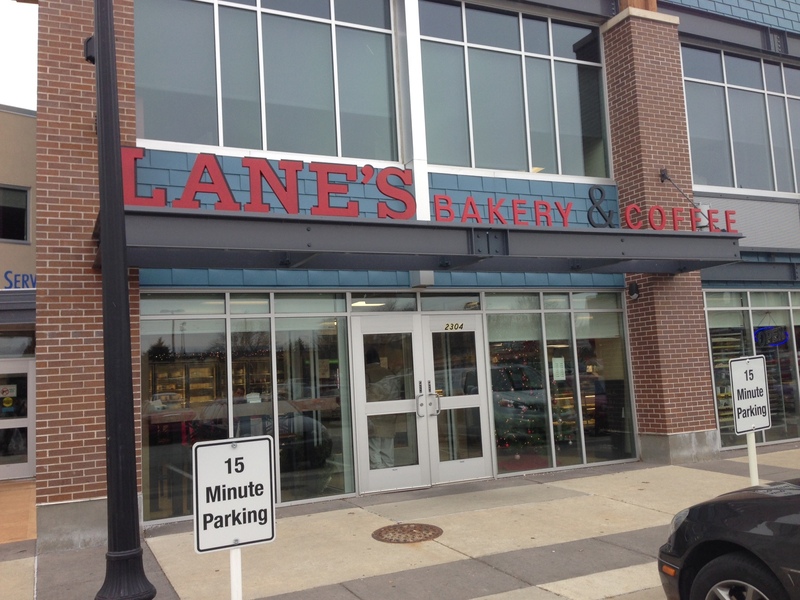 FOOD NOTES: Considering this less than stellar first visit and the fact that Lane’s is all the way on the south side, I probably won’t be back. Their cheese danish was nowhere near as tasty as Scott’s and that’s what I crave when I visit bakeries, so Lane’s did not pass my test. We did not try their kringles (which is something they say they specialize in), but I have tried Scott’s and they are very good, so I think I’ll stick with my Middleton fave. 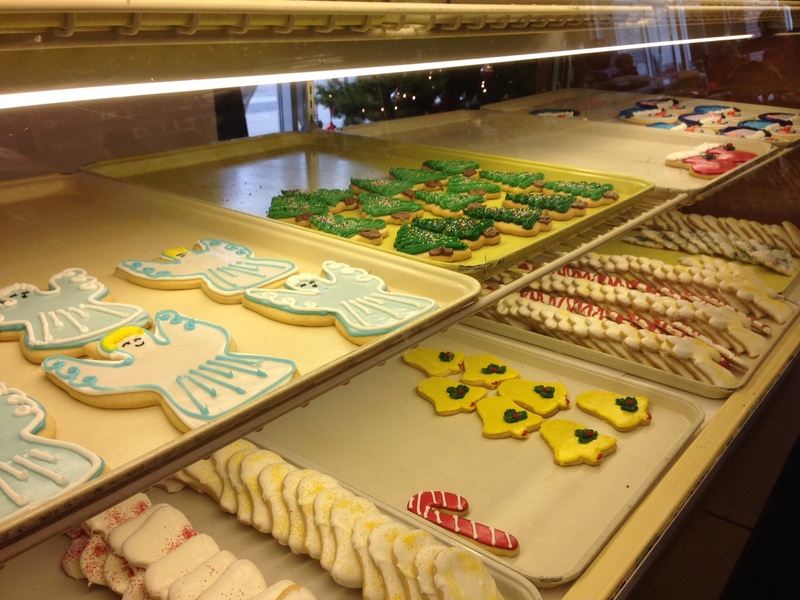 What’s your favorite bakery in the Madison area?